From 12 – 14 March 2019, the international corrugated and folding carton industry will get together for the 4th edition of the specialised trade fair CCE International at the Munich Trade Fair Centre in Germany. On a total of 5,000 m2 net exhibition space, 155 exhibitors from 23 countries will present raw materials, machinery, accessories and services for the production and conversion of corrugated and cartonboard, covering the entire production chain. Live demonstrations at the exhibitor stands will give insights into the range of technological developments and current innovations. The most important exhibitor countries are Italy, Germany, China, the Netherlands and the United Kingdom. The growing online trade and trend towards recyclable and sustainable packaging have a positive impact on the corrugated and folding carton industry: No other material is better known for its sustainability than corrugated and cartonboard. Challenges include the constantly accelerating retail business as well as the increasing demand for digitalised packaging and individualised products. Digital print offers enhanced opportunities to meet these demands. ‘We see enormous potential for digital print on corrugated and cartonboard. The question is how the industry sector can make optimum use of this technology’, says Liljana Goszdziewski, Exhibition Director of CCE International, on behalf of the organisers, Mack Brooks Exhibitions. ‘At this year’s show, visitors will discover the diverse applications of the latest printing and finishing techniques. A key feature of our trade fair is the intense exchange of ideas at the stands, which facilitates the joint developm ent of specific production solutions. We currently see a boost of innovations in the industry, primarily due to digital technologies’, Liljana Goszdziewski continues. Important technology trends will also be covered in the free seminar programme at CCE International 2019. On all three days of the show, industry experts will talk about the key topic ‘Digital Print’ as well as ‘Sustainability’ and ‘Innovative Converting Techniques’, share their knowledge with the audience, and lead open discussions. The many presentations include seminars such as ‘Digital Trends in Corrugated – The Perspective from a MIS’ by the company Kiwiplan Europe, ‘Maximising Folder-Gluer Performance‘ by the company Leary Co., W. H., and ‘Start with Finishing! The Smart Way to go Digital’ by the company Highcon. 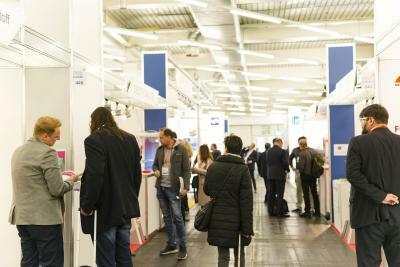 Europe’s only trade fair focussing solely on manufacturing and converting corrugated and cartonboard is, once again, characterised by its high internationality. 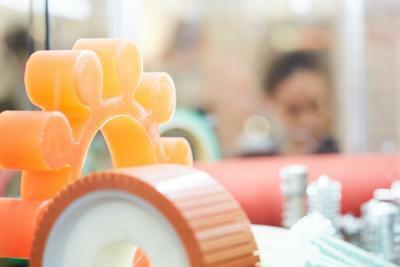 The European market is booming and therefore attracting manufacturing and converting companies from around the world. On a total of 5,000 m2 net exhibition space, visitors will meet 155 exhibitors from 23 countries. The majority of exhibitors are from Europe, primarily Germany, Italy, the Netherlands, and the United Kingdom. Exhibitors from other regions are mainly from China, Taiwan, and the United States. At CCE International, visitors will discover a comprehensive product portfolio and exhibitors covering the entire production chain. The exhibition profile includes raw materials, machinery, accessories and services for the production and conversion of corrugated and cartonboard: Papers – corrugated and carton board; consumables; corrugating line, equipment and components; corrugated and carton converting machinery; design and CAD/CAM; printing processes and equipment; cutting, creasing and die cutting equipment; ancillary equipment; materials handling and warehousing; pallet strapping and handling systems; MIS and plant scheduling systems as well as waste extraction and baling. Thus, CCE International addresses buyers and users of machinery, accessories and services for the production and conversion of corrugated and cartonboard. Once again, CCE International will take place alongside ICE Europe, the World’s Leading Exhibition for Paper, Film, and Foil Converting. ICE Europe addresses converters and packaging specialists and presents the entire spectrum of technological innovations for the production and conversion of flexible, web-based materials. A total of 463 exhibitors will showcase their product innovations. All visitors of CCE International and ICE Europe can attend both shows with their tickets. CCE International 2019 will take place in hall B6 at the Munich Trade Fair Centre in Germany. ICE Europe 2019 will take place in halls A5 and A6. Both shows will be open on Tuesday, 12 March 2019, and Wednesday, 13 March 2019, from 9:00 AM to 5:00 PM, and on Thursday, 14 March 2019, from 9:00 AM to 4:00 PM. Tickets for both shows are available in the Online Ticket Shop on the show website. Day tickets are available for €24 online and €38 on-site, season tickets are available for €34 online and €50 on-site.